I have a treat for you this month! 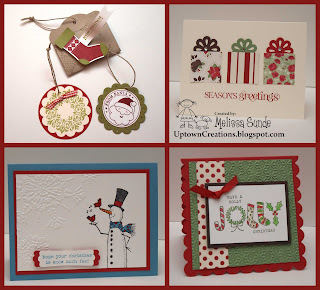 I have two wonderful stamping classes to offer! Are you ready for the upcoming Holidays? Did you know there is only 53 days until Christmas!! OH MY!! 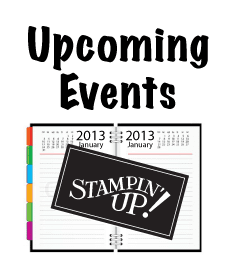 Come join us for an evening of stamping fun! We will be making 6 cards & 6 Tags (3 designs, 2 of each). 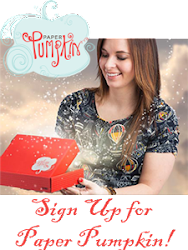 Come get a jump-start on your Holiday Cards! 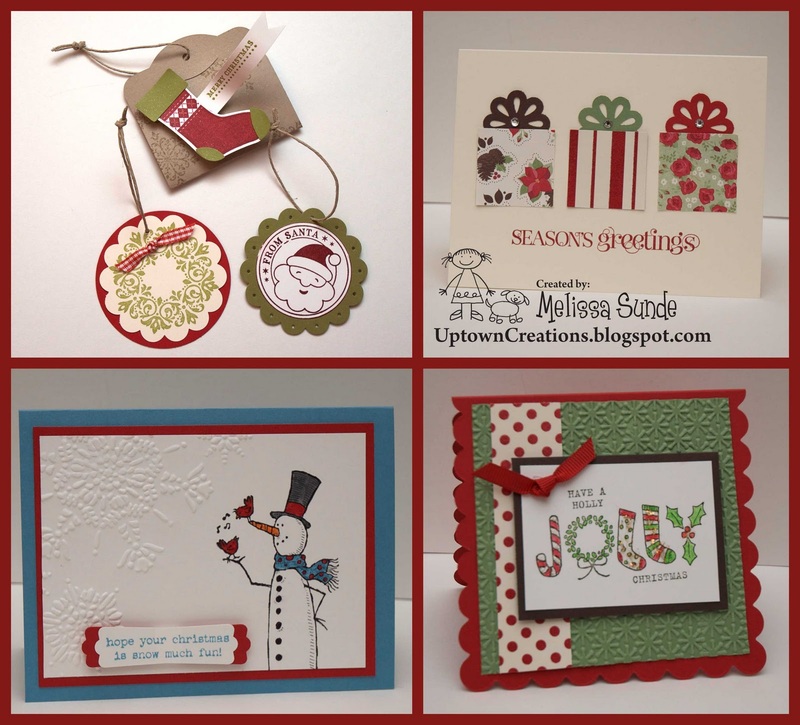 Below are the cards and tags we will be making. Hope you can join in the fun! Deadline to sign up for this class is Nov. 13th. Please RSVP to reserve your spot. 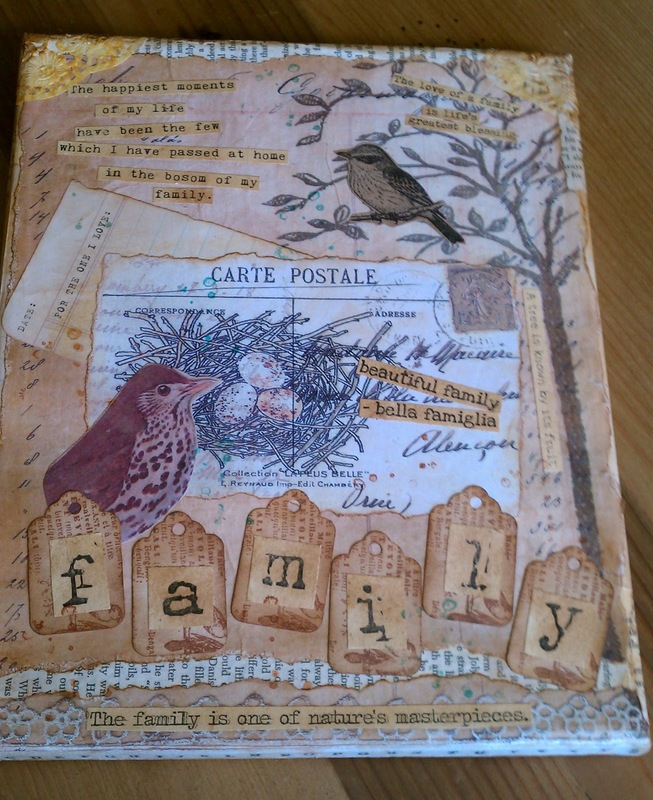 Have you ever wanted to learn how to decoupage on canvas? I met this amazing artist at a Briar Patch Craft Show. 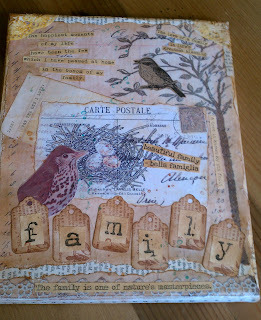 She creates these really neat mixed media decoupaged canvas pieces of art. She was even featured on the Sonoran Living show. You'll be able to create a beautiful art collage on gallery wrapped 8x10 canvas using multiple products based around a common theme (Family Theme). 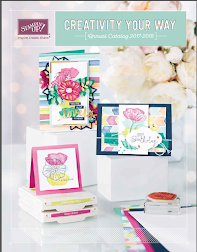 She has tons of different supplies to choose from in case you want to change up the design. I hope you can join in the fun!! This would make a great gift for that special person on your list! Deadline to sign up for this class is Nov. 26th. Spots are limited! If you have any questions about this these events please email me.